Collision victims are rarely able to simply pick up the pieces and move on without some help. A Spokane auto crash lawyer can help you recover the compensation you need to heal and move forward with your life. A crash is a terrifying, painful experience, and dealing with insurance claims and damages can make it even worse. When you’re injured in an accident, you want the best care and the fastest compensation you can receive, but achieving that can be difficult without help. 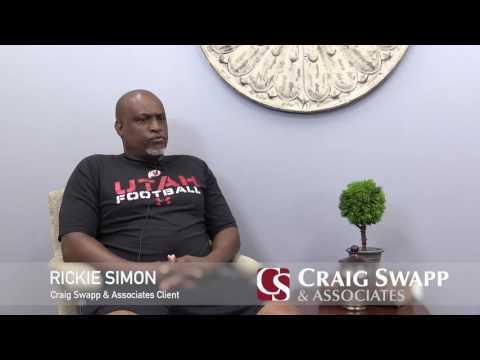 If you were in a crash and you believe you were not at fault, the attorneys at Craig Swapp & Associates are here to help. With the right Spokane car accident attorney on your side, you could be compensated for your losses and damages, even if you are found partially at fault. Insurance companies are seeking to make money, but their profits decrease when they pay for your damages in full. They will look to provide you with a smaller settlement in a shorter period of time. Washington state requires that certain rights are given to drivers by insurance companies, but this does not always guarantee your settlement will truly cover your damages. A Spokane auto collision lawyer from our firm can make all the difference when it comes to navigating the world of insurance claims. We can look over your claim, review your settlement offer, and make sure you get the compensation you deserve. Car crash settlements can go well beyond the cost of repairing your car or buying a new one. Auto collisions are commonly deadly, and surviving a crash can mean debilitating injuries for the rest of your life. The costs of these injuries contribute to the nearly $900-per-person average that car crashes cost each year. Injury to yourself is one of the most immediate concerns after a Spokane car crash. Injuries can be life or death and may be one of the most immediate expenses following a wreck—a hospital stay, even a short-term one, can add up quickly. Neck injuries like whiplash are especially common during auto wrecks. The severity of the damage may vary, depending on speed and the health of the victim, but this injury can cause major damage to the ligaments and muscles of the neck—injuries that can put a person out of work for an extended time. Head injuries are often some of the most severe injuries in an auto collision. Untreated, head injuries can cause a life-threatening concussion, a coma, and even permanent brain trauma. This can change your life completely. Brain injuries can cause multiple other problems, such as hearing, vision, and cognitive issues, as well as greatly reduced quality of life. A car accident can cause a wide variety of damages, from damage to your vehicle to tolls taken on your physical, emotional, and financial health. All of these damages can factor into your ultimate compensation award, even if your insurance company does not want to include them. With the help of an auto collision lawyer in Spokane, you can be sure that your coverage handles all areas of your injuries. If you have experienced serious injuries, you can expect non-economic damages in addition to financial damages like medical bills and property damage. One of the biggest issues in settling a crash claim is the issue of fault. In Washington, injured drivers are responsible for their part in the collision. This means that, if you are found at fault for any part of your Spokane motor vehicle collision, your compensation could be reduced by the percentage for which you were at fault. For example, imagine you were in a collision with another driver, but you were driving distracted and you are found 25 percent at fault. In this situation, you can expect to receive only 75 percent of your awarded compensation. For a compensation award of, say, $10,000, you would then only receive $7,500. Craig Swapp & Associates can help you get the compensation you need for the injury or trauma you suffered during your collision and every day since. If you would like your case examined by a Spokane auto accident lawyer, contact us for a free, no-obligation consultation. Just fill out the online contact form at the bottom of this page or give us a call at 1-800-404-9000.